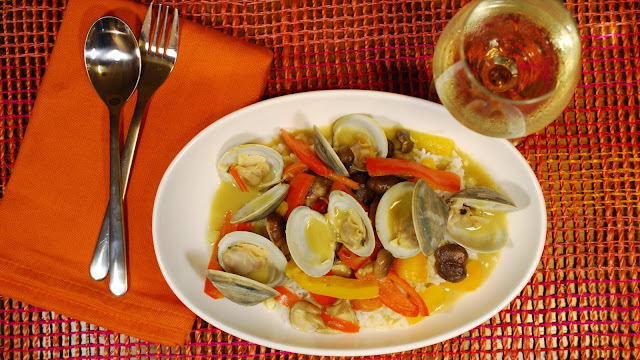 Just a quickie post to share my latest 8 & 20 with you all–Clams in Thai Green Curry, now up at WineSpectator.com. You’ll be amazed at how quick this is to make. We didn’t really change the leftovers up four round two–it was just super tasty as it was. Simply reheat the curry gently so that that clams don't get too tough. 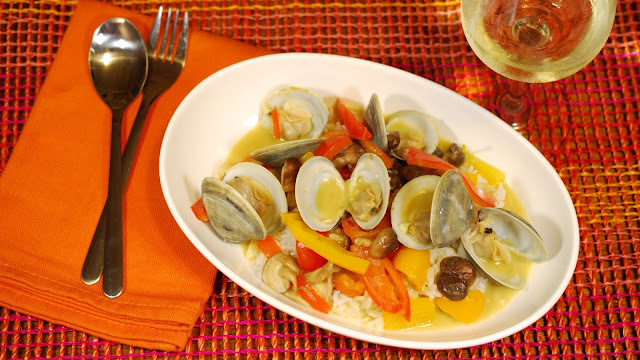 I served it with rice for the recipe, but you certainly could switch things up and serve it on noodles or hearty veggies.